Peter Scazzero says that it is impossible to be spiritually mature while remaining emotionally immature. For the next few weeks we will be looking at our journey through the stages of faith and how we can allow God to transform us into the people he is calling us to be. Advent is a tough sell these days. Maybe it has always been. Christmas is glittery and flashy. It is colours and lights, bells and smells. It is eating, drinking, dancing and parties. Advent on the other hand is quiet and unobtrusive. It is a time of waiting and wondering. It is a time of delayed gratification. Advent offers us some things that our souls desperately need. It offers us a quiet space to reflect and prepare for the birth of the Messiah. It offers us the opportunity to rest amid the frenzy of the season and just be. Join us each Sunday in December as we consider the gifts of Advent; hope, peace, joy and love and how you can live more fully in these gifts. One woman, one suitcase, seven countries. One naked man, one earthquake, three retreats. The gift of a lifetime—a three month sabbatical. The gift of inexhaustible love. The gift of ancient wisdom. For three weeks Debra will be talking about her sabbatical and it’s gifts and learnings. Every once in awhile we receive an invitation that is too good to be true. Or an invitation that is so outrageous that we aren’t sure if we can accept it. Jesus’ invitations can fall into either of those categories. They can be exciting, fresh, challenging and even daunting. Join us as we consider Jesus’ invitation to live life more abundantly. From the breath of God in the Old Testament to the tongues of fire in the New, the Holy Spirit is definitely the most elusive and sometimes confusing person of the Trinity. In this sermon series we’re going to explore many questions that you may have (and some that you probably don’t) about the Holy Spirit in the hope that we grow both in knowledge and in depth of relationship with God. Grief is an unavoidable part of being created as image bearers of God. Our God is a God who experiences grief and knows the depths of sorrow. 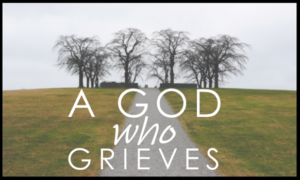 In this sermon series, we’re going to see what we can learn about God and about ourselves through observing the times in scripture when God grieves. Wisdom is an important concept in the Bible with the Hebrew word for wisdom showing up over 200 times in the Old Testament! In this series we will be exploring the concept of Biblical wisdom with a particular focus on the books Proverbs, Ecclesiastes, and Job.